Compact shade loving Aroid. 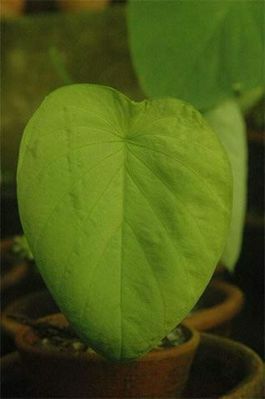 The plant grows upto 15 cms tall with leaces that are 6 cms wide. Produces flowers with deep brown spathe that is 3 cm tall. The bright green shiny leaves are very well textured.